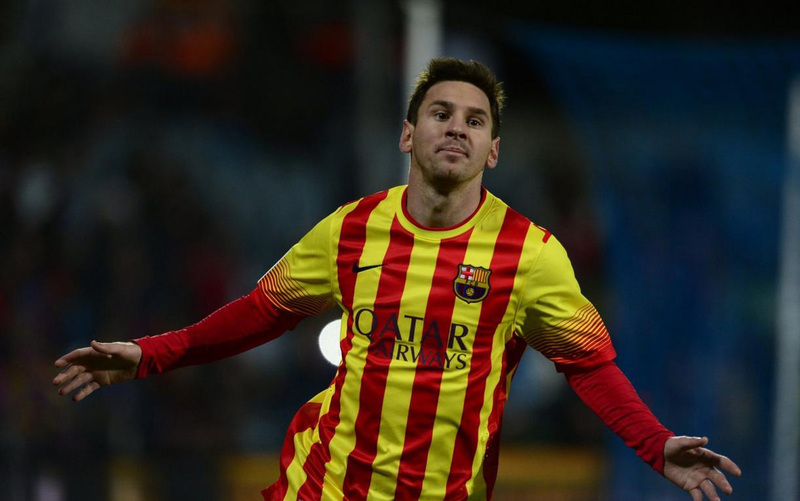 Barcelona line-up: Pinto, Adriano, Puyol, Bartra, Daniel Alves, Song, Sergi Roberto, Fabregas, Neymar, Messi, Tello. 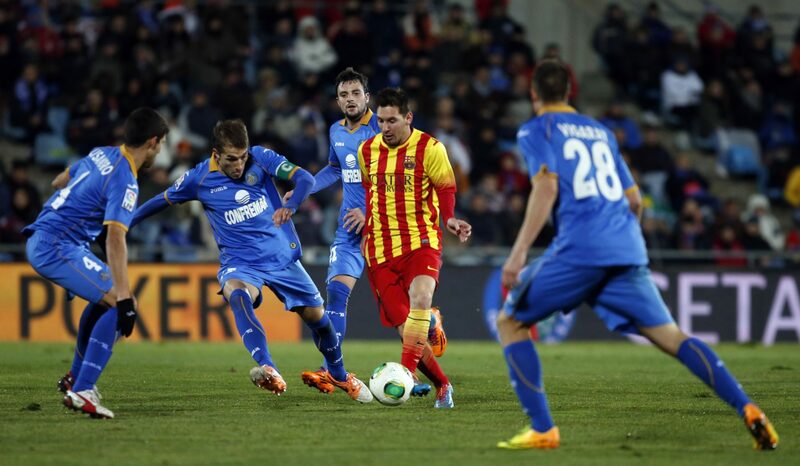 Tato Martino rotated several players from his typical favorite line-up, but surprisingly picked both Lionel Messi and Neymar to feature on the starting eleven. The two superstars didn’t start a game for Barcelona for a few months, since Messi has been struggling with an injury for quite some time. 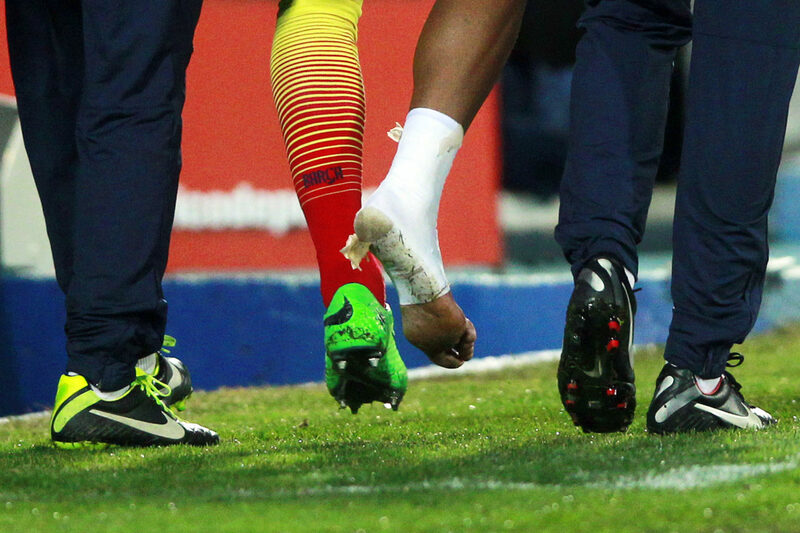 Unfortunately, the night ended up being very unlucky to Neymar Jr, who got himself injured around the 22nd minute of the first half, after twisting his ankle on a play down the left side. 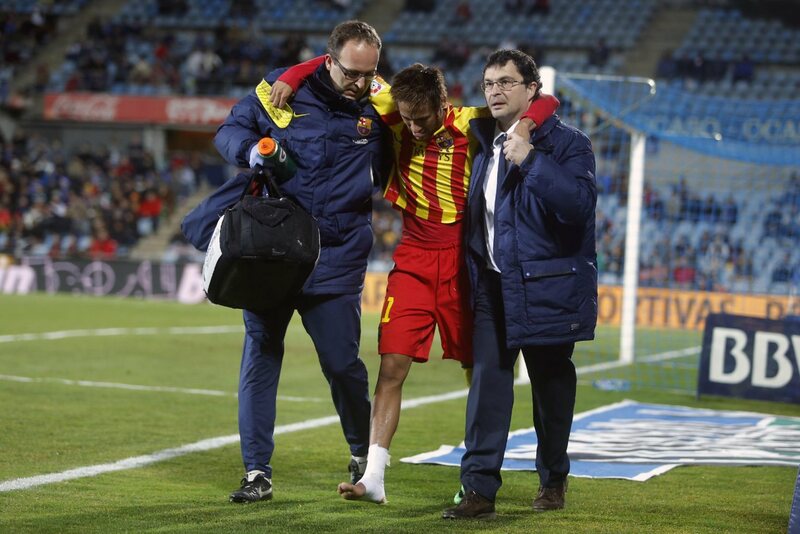 Neymar sprained the peroneal tendon in his right ankle according to FC Barcelona‘s own medical sources and is expected to be out of competition for the next 3 to 4 weeks. With Neymar out of the game, it was up to Messi to carry the team on his shoulders and he has done it in an emphatic way. He scored the opener just a few minutes before the half-time, after finishing off a good from Tello on the left, leaving no chances for Getafe‘s goalkeeper to react in time. 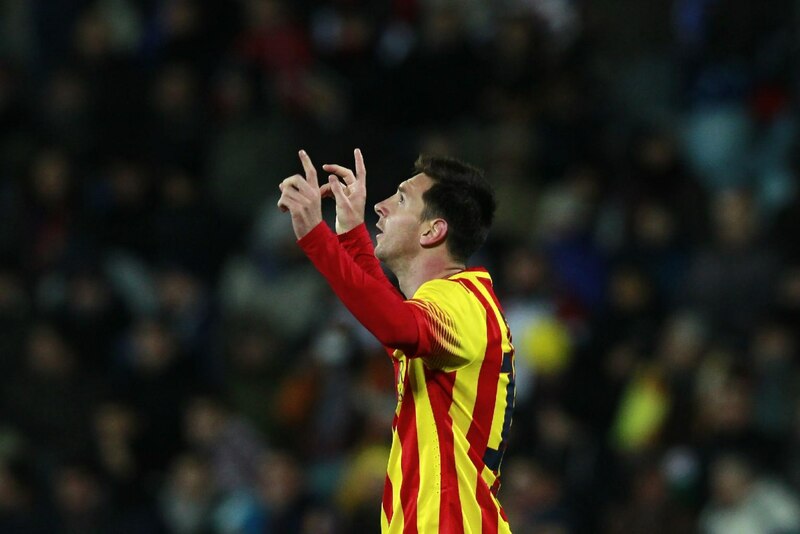 What we can say about the 2-0 is that it was Messi‘s first big masterpiece of 2014. 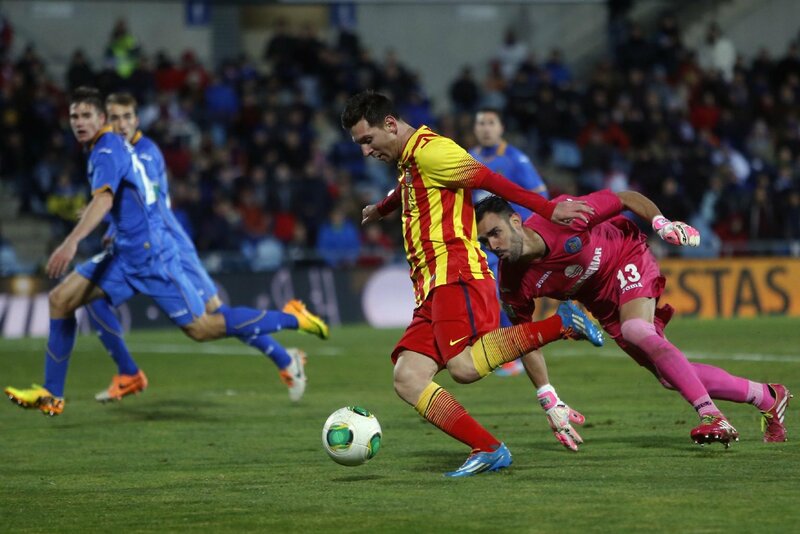 The Argentina international, got past 5 Getafe defenders (including the goalkeeper), just before sliding the ball into an empty net. 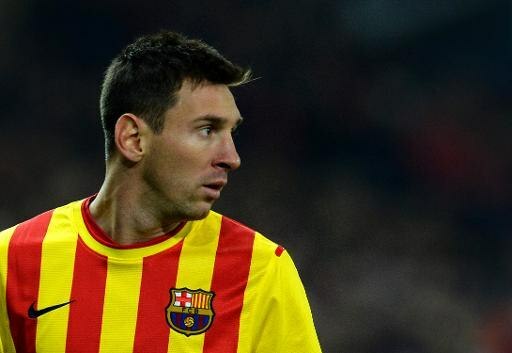 Those who still doubted that Messi could have been negatively affected by witnessing Cristiano Ronaldo winning the FIFA Ballon d’Or 2013 last Monday or that he wouldn’t be able to return to his old form after a such serious muscle injury, now have probably accepted the fact that the King is back. As for Neymar, the good news is that 3-4 weeks injury period still allow us to expect him be fit just in time to help Barcelona in their UEFA Champions League challenge in February, against the all-mighty Manchester City.